When it comes to trucks, Windscreen Power understands that in this fast-paced society, downtime can cost money. That’s why Windscreen Power endeavours to fix your windscreen quickly and get your truck back on the road. 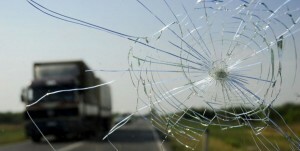 With all the kilometres trucks travel windscreen damage is not uncommon. Although you may think it’s easier to ignore a windscreen chip or crack in the long term it’s important to fix them quickly as driving vibrations and temperature changes can result in further windscreen damage. At Windscreen Power, when possible we will always try to repair rather than replace a windscreen – however, if a chip has been left and more damage has occurred the only option may be to replace it. Windscreen Power offers 24 hour service, 7 days a week full mobile service, ensuring that we will be available where ever and whenever you need us. Windscreen Power, Geelong are your experts in repairing or replacing your truck windscreen.